In my fantasy, I live on a large ranch. From the back porch I can survey the property. There are dozens of animals-mostly horses-trotting or running to and fro, Llamas patrol the fence line, and turtles wander towards the sparkling pond in the center of the stand of giant oaks. Off to the side there is a lush pasture of green grass – a favorite of my large herd of miniature horses. Before day’s end I will have fed, brushed, and hugged each and every one. Meanwhile, in the real world of miniature horse raising and training, life is a bit more complicated. Brandy and “Carp” Carpenter live out on State Highway 56 east of downtown Whitesboro where they tend to as many as twenty-seven tiny horses at a time at Shenandoah Miniature Horse Farms. Brandy’s “starter horses” were actually birthday gifts. 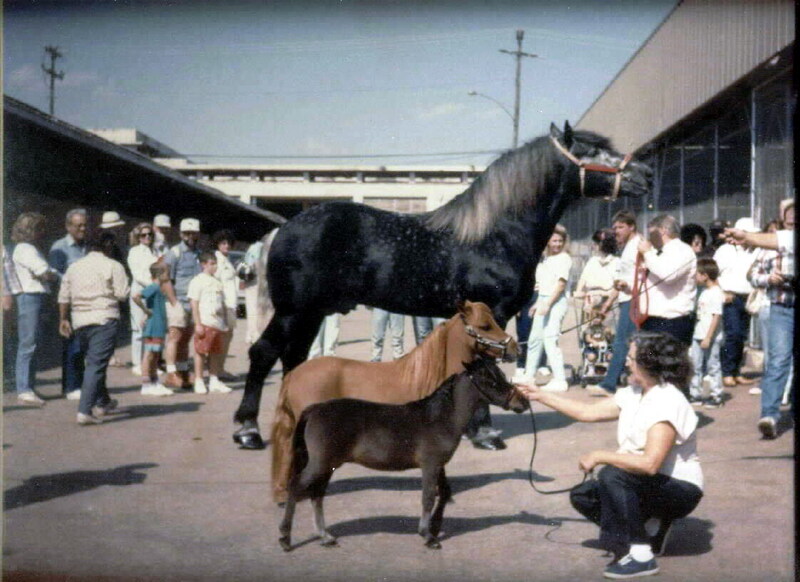 Two “pet quality” miniatures led to the present operation that covers 52 acres. The big business for folks like the Carpenters is the boarding, breeding, and training of champions for show. “Until the late ‘80s there really wasn’t a miniature horse industry outside of the U.S.,” says Brandy, “now we export horses around the world.” In fact, much of the popularity of the breed comes from the word done in Whitesboro. “Again, in the late ’80s, Bob and Cindy Irwin had NFC Ranch here locally and Bob had a background in marketing,” Brandy recalls. 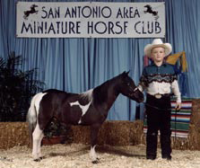 “He is largely responsible for putting the miniature horse into the competitive spotlight. Miniature horses. How small are they? 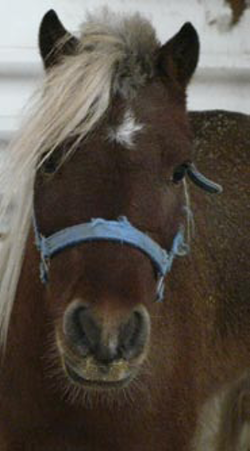 Little horses need the same care and attention that you would give a full-sized model. “You still have vet bills but they eat a lot less and that can add up,” said Carp. And they are absolutely adorable. The Carpenters are very accommodating to visitors and a simple advance call is usually all that is required. It’s an opportunity to get a closer look before rushing out to buy a horse bed for the house. Shenandoah Fox’s “Clown,” 30-inch Pinto Mare trained by the Carpenters is a multiple Grand Champion. Shown by William Robertson.